What is Fumigation in International Cargo Transportation? A Fumigation Certificate, in respect of international cargo transmission from the USA, also referred to as a 'pest control certificate' is the proof that wooden packing materials used in shipping from the USA, e.g., wooden pallets and crates, wood, wool, etc. have been fumigated or sterilized prior the transporting from the USA. Fumigation certificates in international shipping from the USA usually contain details such as the purpose of treatment, the articles in questions, temperature range used, chemicals and concentration used, etc. The fumigation certificate in shipping from the USA is not a necessary export document. However, it assists in quarantine clearance of cargo upon the arrival to the destination from the USA. A certified vendor should complete fumigation of cargo transporting from the USA prior an international shipment will be submitted to an international sea freight carriers shipping facility in the country of origin. If not completed and fully documented at the origin, then the fumigation may be done at the destination. Upon arrival of cargo to the country of destination; OR in international shipments with transshipments at a time of transshipments, i.e., at a time when cargo transported from the USA will be reloaded from one container/vessel to another to be shipped to the final destination. If a fumigation certificate in shipping from the USA is required but not presented or incomplete, then additional costs related to fumigation may occur upon arrival of the cargo to the destination. Noncompliance will result in wooden packing materials and wooden pallets destroying by the destination country port authorities at consignee's cost. It also may result in delayed customs clearance. Shippers/Consignees will bear the cost of the fumigation and/or delayed customs clearance due to noncompliance with the international shipping procedures related to shipping freight containing wooden packing materials. Note: Obtaining of fumigation certificate for shipping cargo from the USA is shipper's responsibility. A Fumigation Certificate can be obtained from a local fumigation company. If you consider that a fumigation certificate required for your international sea freight shipment, then search the internet or refer to your local Yellow Pages to find the nearest fumigation company in your area that specialized in fumigation of cargo for the international shipping from the USA. QUESTION: DO I NEED A FUMIGATION CERTIFICATE FOR MY INTERNATIONAL SHIPPING FROM THE USA? Usually, in the global cargo transportation industry, importing countries make fumigation compulsory for wood-packing materials that contain solid wood/timber and logs. But importing countries do not require fumigation for cardboard boxes, plywood, blockboard, MDF/HDF (wood-based products obtained by pressing wood fibers), OSB (a competitor for plywood), hardboard, particle board, and some other human-made boards. Why? Because solid timber and logs, probably infected by harmful living insects. It is necessary to fumigate solid timer and logs before the international shipping. Otherwise, those harmful insects likely will cause damage to the forests in importing countries. The goal of fumigation is to protect forests of destination countries from insects that may reside inside of shipping timber. The fumigation is a pesticide treatment using poisonous gases to kill pests inside of internationally shipping wood. But there will not be living insects in some internationally shipping "man-made" wood-packing materials such as: cardboard boxes, plywood, blockboard (wood-based products obtained by gluing blocks of wood together and sandwiching them between 2 veneers), MDF/HDF (wood-based products obtained by pressing wood fibres), OSB (a competitor for plywood), hardboard (high-density fiberboard), particle board and so on. These "man-made" wood-packing materials produced under high temperature and high pressure. During production, all the insects in these "man-made" wood-packing materials will be killed because of high temperature and high pressure. Because of no insects, then "man-made" wood-packing materials will not require to be fumigated during the international shipping from the USA. I.e., no fumigation certificate is required for your sea freight international shipment that contains these "man-made" wood-packing materials listed above. Today, using alternative packing materials such as plastic packing materials (plastic pallets, crates, etc.) has become more and more popular due to its full compliance with the ISM 15 rules. Most restricted countries are Australia and New Zealand. You may refer to the Australian Government Department of Agriculture and Water Resources website. Timber bearing insects pose a significant quarantine risk on international shipping to Australia and New Zealand, and therefore all timber used in FCL containers shipping from the USA must be treated before the container can be considered for immediate release. This also relates to the exposed timber components of the container itself. Quarantine's concern does not only relate to timber pests but also the cleanliness of internationally shipping sea freight containers. All conditions prescribed for international shipping from the USA by the Quarantine and Customs Authorities must be met before any internationally shipping cargo can be removed from a terminal or break bulk depot. All ocean freight bills have a code which indicates if a wood used in packing or securing of cargo shipping from the USA in containers. If the wood is used in international shipping containers to Australia, then all documentation must have a packing declaration with a fumigation certificate of the internationally shipping container or a treatment certificate of the wood used. For FCL containers if shipping goods themselves are not subject to quarantine inspection and the timber components, such as the floor and linings have been treated by an acceptable method, then the international shipping container is free to move anywhere provided packaging meets quarantine requirements, and the international shipping container is clean. As far as practical, timber should be avoided in international shipping from the USA to Australia and New Zealand and alternative material such as cardboard, plastic, new jute or metals used. If timber crates, cases, pallets or dunnage are used in an international shipment, then the timber should have been treated by one of the methods approved by Australia/New Zealand Plant Quarantine. It is essential that the international shipping container is clean and free from soil or plant and animal contaminants such as grains, flour, meat, bones, hides, and skin. Straw packing, rice hulls, and similar plant materials are prohibited for international shipping from the USA and therefore should not be used as packing for any international shipments. Alternative material such as shredded paper, wood-wool or synthetic materials is acceptable for international shipping from the USA provided they are not contaminated with material which could be a quarantine risk. Whenever possible, international shipping containers from the USA to Australia and New Zealand are cleared through quarantine on documentation, but a number of them are inspected at importer's premises to verify this international shipping documentation. Where infringements of quarantine requirements are found all subsequent consignments from that exporter may be directed to a depot for clearance. Apart from the delay all the possible prejudice to subsequent international shipments all cost for remedial action will be charged to the consignee. You may download and see a form of Australian Wood-packing declaration for international shipping of sea freight to Australia in this link. LCL containers shipping from the USA and carrying goods for delivery to approved break-bulk depots, where regular quarantine inspections of internationally shipping cargo can be undertaken, do not necessarily have to beat any special requirements. However, should evidence of infestation be found in any international shipping wooden crates or cases then fumigation will be undertaken. The cost to the exporter in the shape of treatment charges, delay and inconvenience in such international shipping may well outweigh the small additional costs of using treated timber when making up the internationally shipping crates and cases. (a) Fumigation of shipping from the USA household goods and personal effects will not permit the immediate release of containers. Containers carrying these goods must pass through an approved depot for unpacking and treatment of such assets is subject to quarantine. (b) Internationally shipping containers must be free from the soil, plant material and contamination from animal products. Thorough cleaning of the inside and outside of internationally shipping containers before the shipment will assist in removing contamination and could alleviate the need for expensive and time-consuming quarantine treatment of international shipments in Australia and New Zealand. All contaminated internationally shipping containers detected entering Australia and New Zealand are treated before release. (c) Any international shipping material of a plant origin or likely to carry any disease or pests of plants are subject to quarantine. Some international shipping items are prohibited except by special permit. Internationally shipping FCL sea freight containers of agricultural products emanating from the UK and NW Continent (now Khapra beetle area) must be preceded by a packers certificate of the internationally shipping container cleanliness prior to packing, a fumigation certificate for the empty internationally shipping container (not required if container is not lined), and a phytosanitary certificate. (d) Items such as international shipping from the USA motor vehicles or internationally shipping agricultural machinery contaminated with soil must be cleaned before they are released. Steam-cleaning before the shipment will obviously go a long way to ensuring the internationally shipping cargo will be in an acceptable condition on arrival, but this can never be guaranteed. (e) Phostoxin is the proprietary name for aluminum phosphide. It is applied in solid form, usually as tablets and relies on a reaction with moisture in the air to release phosphine gas. Use is on a limited basis and commonly where an internationally shipping commodity is known to have an adverse reaction with methyl bromide. PLEASE NOTE: it can only be used as an international shipping commodity fumigant and is not an accepted method of timber treatment in international shipments to Australia or New Zealand. (1) If using your own or leased internationally shipping container ensure that its exposed timber components have been permanently treated to the international shipping requirements of the Quarantine Authorities and the container is registered with them. Otherwise, the international shipping containers must be fumigated within 21 days before the international shipment. (2) Where possible do not use in your international shipping from the USA any wood for pallets, packaging, dunnaging or securing materials if you can find suitable alternative arrangements not subject to quarantine regulations, for example, Internationally shipping paper products, cardboard, plastic products, fibreboard, cardboard, metal, clean dry used motor tires, inflatable dunnage, wood-wool, and metal or plastic strapping. Chipboards, plywood, and particleboard are also suitably provided they are new and manufactured in Canada, Europe, Israel, Japan, New Zealand, UK or USA. Limited internationally shipping timber products are not acceptable, neither are internationally shipping material such as straw, rice hulls, or similar plant materials. (i) Be permanently treated by an approved for international shipping preservatives such as copper-chromium-arsenic salts or copper-chromium-boron salts. (ii) Be temporarily disinfected by one of the approved for international shipping methods below. Timber treated by one of these methods must be packed in a container used in international shipping or shipped within 21 days of treatment. (a) Internationally shipping Cargo Containers – Quarantine Aspects and Procedures. Australian Quarantine Service. (b) Summary of Australian Plant and Animal Quarantine Requirements in international shipping. Australian Quarantine Service. 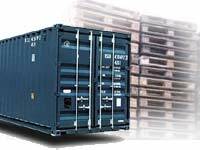 (c) Requirements for internationally shipping sea freight Containers and Containerised Cargo. Ministry of Agriculture and Fisheries. New Zealand Forest Service. Methyl bromide fumigation is the most practical and economical method of timber treatment in international shipping. Loaded international shipping containers may be fumigated to treat the exposed timber components of the internationally shipping containers, timber packaging or the cargo. ACA International can arrange for your internationally shipping container to be fumigated before international shipping if you require this service or on the arrival of your internationally shipping cargo if your quarantine documents are not in order. A fumigation certificate for international shipping from the USA to Australia or New Zealand must be completed and signed by the fumigation contractor, who must be able to comply with ACOP (Approved Code of Practice) for the control of substances hazardous to health. The quarantine declaration section of the Export Cargo International Shipping Instructions must be completed by the international shipper for coding on the manifest (IEF). Certificates and/or Declaration for internationally shipping timber treatment will be forwarded by international Shipper to Consignee with invoices or international shipping documents. Where fumigation has been carried out by ACA International or their agent on behalf of the international shipper fumigation certificates will be forwarded centrally.